Metal theft is a continuous problem in the United Kingdom and comes at a significant cost, with the Association of Chief Police Officers (ACPO) estimating it to cost the UK economy £770 million a year. In light of this growing crime, the British Security Industry Association (BSIA) has released a metal theft guide to help property owners of varying types tackle this problem. Metal thieves have a wide range of targets including rail and communications infrastructure, public utilities, metal piping and lead roofing on churches and schools and even bronze plaques from war memorials. Stealing the metals for their extrinsic value, these opportunists are regularly finding new ways to source valuable materials and sell them on illegally. The BSIA’s new guide serves to highlight just how much of an impact this crime is having across the UK and provides a variety of security solutions that could successfully discourage or catch these thieves. Featuring real life success stories provided by member companies of the BSIA, such solutions can include physical security equipment, asset and property marking, CCTV, intruder alarm systems and access control. The guide includes a wide range of case studies showing how these different security solutions have helped protect properties or trace culprits – ranging from protecting vacant properties, to safeguarding drain covers and securing our businesses and homes. In 2011 the Government acknowledged the severity of this issue, with the Home Office setting up a task force – led by the British Transport Police – with the help of a £5 million boost from the Treasury. However, it is still extremely important that property owners implement their own security measures in order to affect positive change. Download the BSIA’s free guide here to find out some of the most effective ways to safeguard your property. 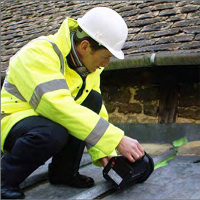 BSIA members offer a reputable service and are inspected to high quality standards, to find a local supplier near you visit: http://www.bsia.co.uk/find-a-local-security-company.